When does the recovery diet end and the offseason begin? How does someone know when they are “recovered”? As the 2017 competitive season draws to a close, these questions linger in the minds of many competitors. With the previously accepted guidelines (i.e. 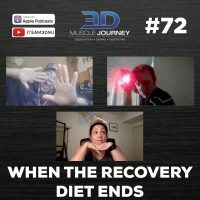 reverse dieting) being vastly different than what we now know to be more optimal for proper post-show protocol, the confusion surrounding the new methodology is understandable. In effort to help clear-up some of this uncertainty, Brad, Andrea, and Eric sat-down to discuss a few of the remaining questions. In today’s episode, the coaches cover both the psychological and physiological aspects of recovery. Topics ranges from: willpower, systems, boundaries, altered body-fat distribution, palate changes, hormonal changes, and more. 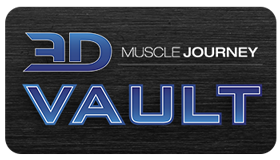 If you are a physique coach or athlete who is curious about the signs and symptoms of full-recovery and when it’s okay to slow the rate of post-show weight-gain to more “normal” levels, this episode will serve as a valuable reference.